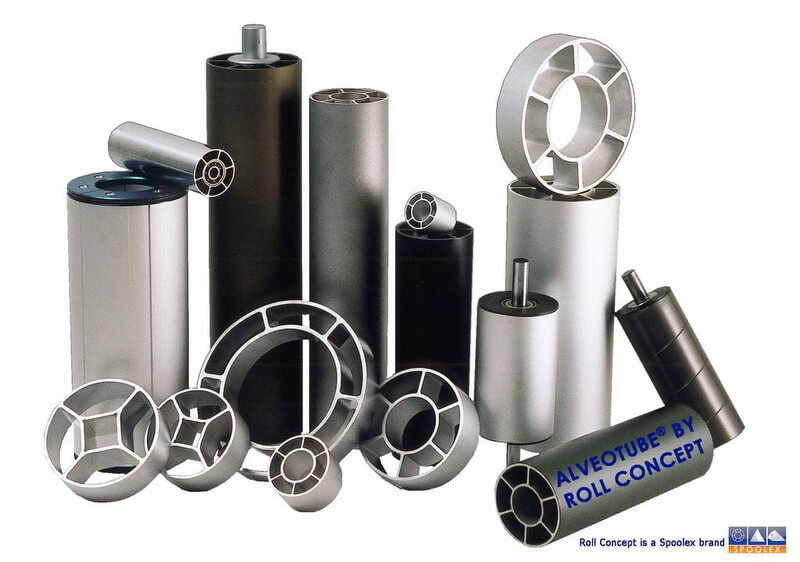 ROLL CONCEPT is a company with over 20 years of experience specializated to the manufacture of industrial rollers in aluminum extruded profiles (ALVEOTUBE). Alveotube aluminium rollers are designed to provide low rotational inertia with little deflection thanks to the excellent strength to weight ratio. Available in 9 Ø differents (from Ø48mm till Ø230mm).